Vermeer's painting of A Girl With A Pearl Earring has captivated many an admirer -- its name and subject seem simple enough, but inside her stare lies a deep level of complexity for a young woman. 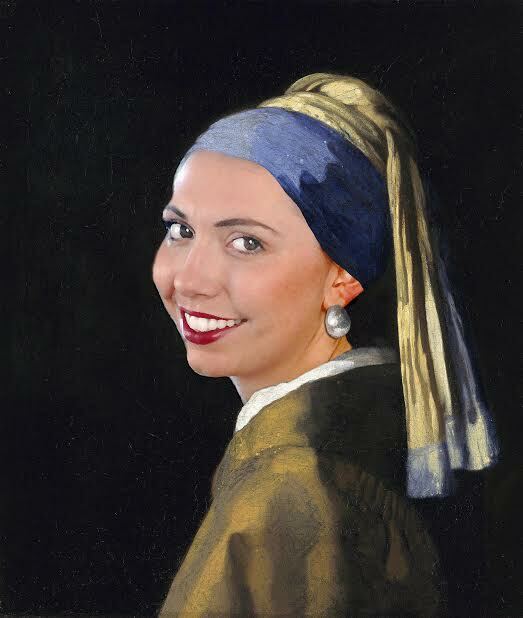 And then there is that pearl earring.... Several years ago, we had some fun inserting my daughter Camille into the painting with her sideways glance. It made me think that just by virtue of insertion, she might be able to better interpret the original painting-- wouldn't that be an interesting basis for a film or a novel! More recently, I came across the black and white photo of a woman and her son-- she gazing lovingly at him and he at us. 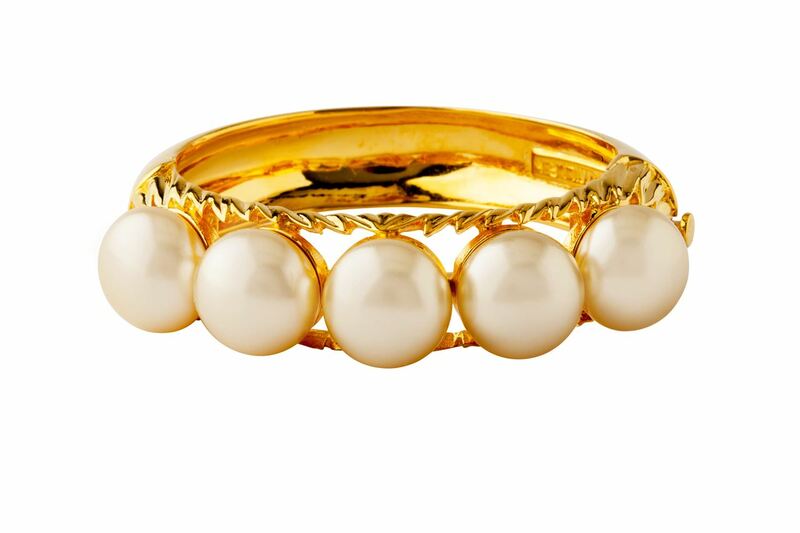 And then of course, there is the pearl ring she is wearing... I was instantly enraptured! I have always been drawn to the clever, classical woman who dresses simply so that her jewelry can make a statement. People ask me where the ideas for my jewelry come from and I can tell you that they are inspired by a glance at a passerby, a character description in a novel, or a photograph of an unknown woman wearing jewelry like this one. 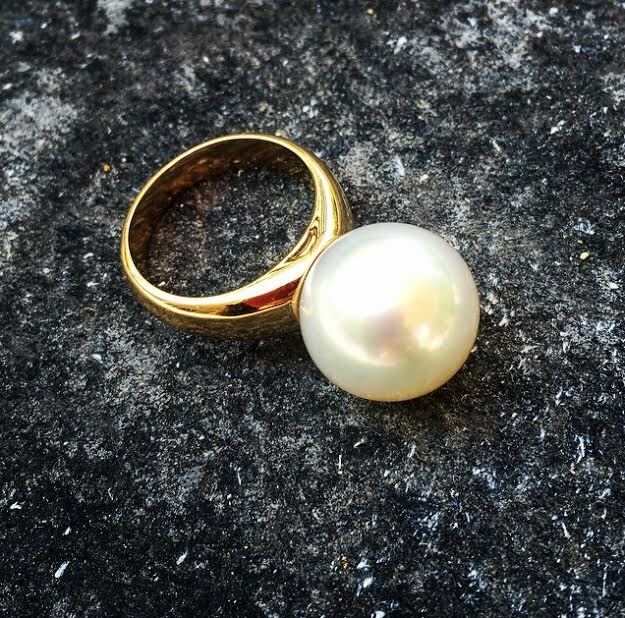 Up to this point, I had only been designing and manufacturing costume jewelry, but this pearl ring started a conversation in my head about creating a capsule collection of fine jewelry. 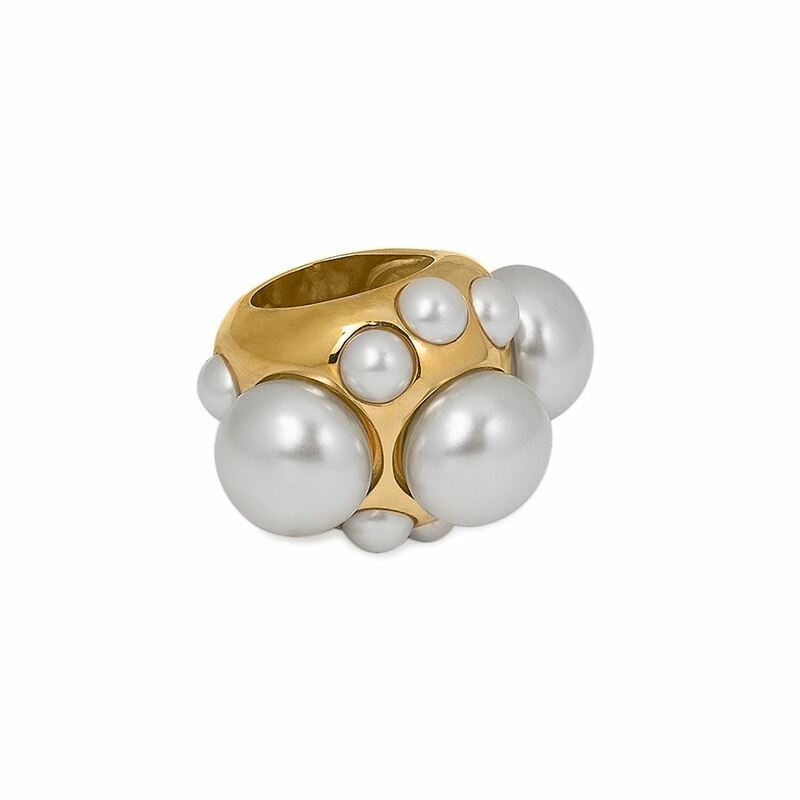 It's funny how an image can ignite the creative mind-- this one led me to venture into the world of fine jewelry and design my own version of this pearl ring. I wanted the simplicity of a solitaire design with big impact. I designed a shank that was substantial enough to support a large pearl yet simple enough to let the pearl shine on its own. I sourced South Sea pearls in San Francisco and found a spectacular few of the large size I was seeking. Pearls in and of themselves are worthy of an entire essay-- It all starts with grit, the grit that irritates the oyster that makes the pearl. Pearls are many things if not metaphors for life itself. We all know that life requires a great deal of grit! Summer's gifts of gentle breezes, brilliant sunshine, and time off-schedule are enough to make our minds wander to beautiful places and times well spent. For every summer story that is told, we can be sure that there is a whisper and a nod to sea shells. They are the jewels in the stories of our childhood memories at the beach. They become precious keepsakes for first loves, long walks on the beach, and times spent watching our children splash about in the sea. 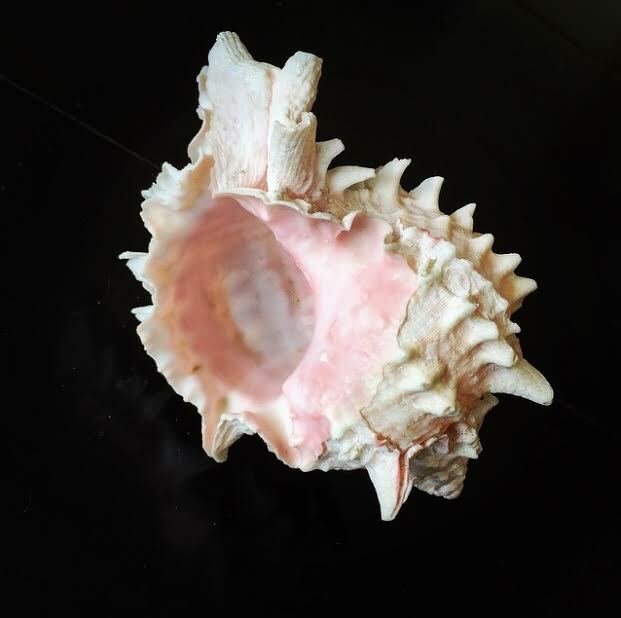 When I was a girl, my mom had a beautiful pale pink shell (shown above) sitting in the soap cove of her bath. I would soak in her bath, hold the shell to my ear, and listen to the gentle breeze that played inside. It was like a modern-day playlist of all my memories growing up at the beach. 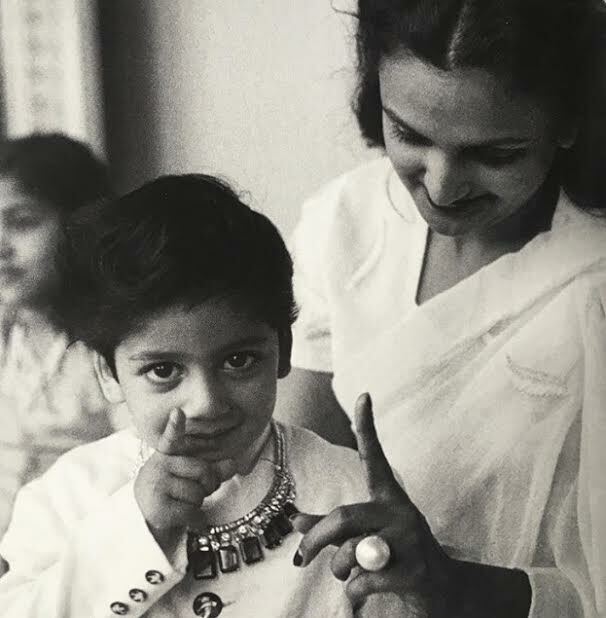 It is one of my greatest treasures and eventually influenced my jewelry designs. 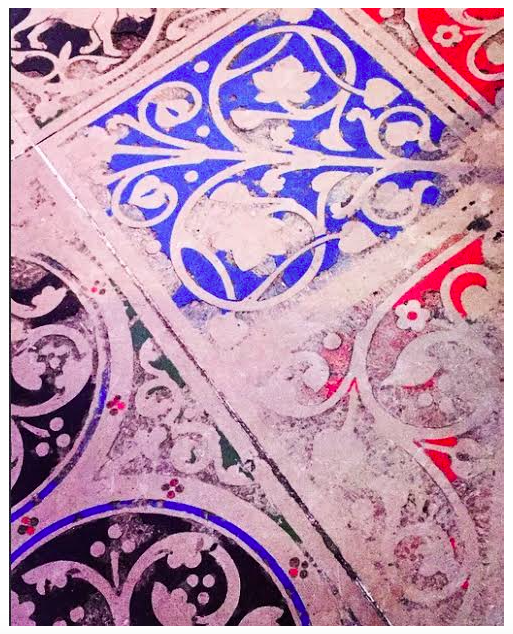 Shells have been symbols in architectural design, furniture design, jewelry, and paintings for centuries. They are the symbols of sensuality seen in works by Botticelli, in the designs of Leonardo da Vinci who often drew upon nature for his inspiration, and in the Rococo shell chairs Matisse painted in the 18th century. More recently, Tony Duquette's use of shells was reflected in his opulent design style, Thomas Boog continues to create over-the-top objects in his Paris design studio, and iconic jeweler, Verdura, is known for using the shell motif in many of their designs. When I began imagining and developing my first collection of upscale jewelry in New York, I referenced my youth growing up near Santa Barbara and time spent at Miramar Beach. The Camille K Miramar cuff and earrings make strong statements, ones that are very personal to me. 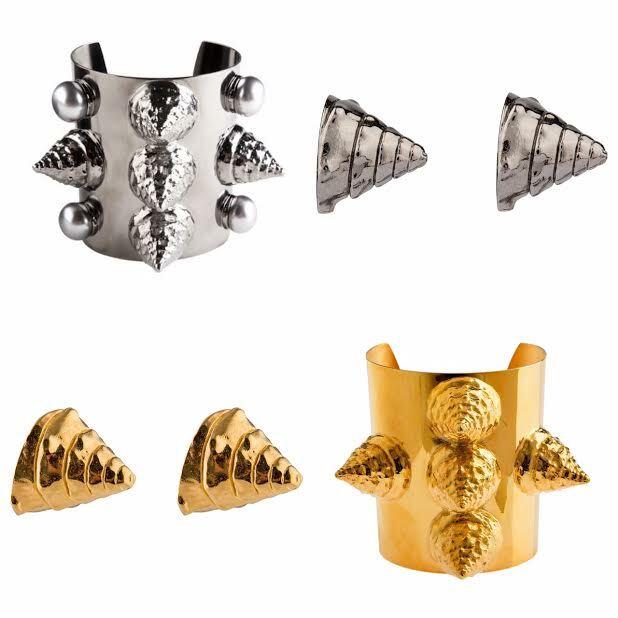 Of course, I would be remiss in not acknowledging the Couture shell cuff (shown above) that started it all! 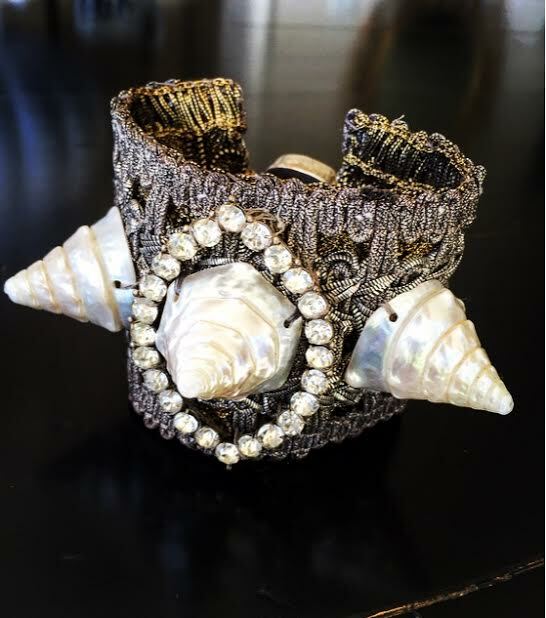 It features real turban shells sewn on 18th century French gold and silver bullion trims. We continue to sell these as limited pieces upon request. Many years ago after a visit with my Mother, she handed me a small wrapped package along with her hug goodbye. Inside was the shell from her bath... and in her soft voice, she advised me to listen in whenever I felt too far from home. May you enjoy your last days of summer and savor all the memories you make. VELVET: THE MOST STYLISH SHOW YOU MAY NOT HAVE HEARD OF! 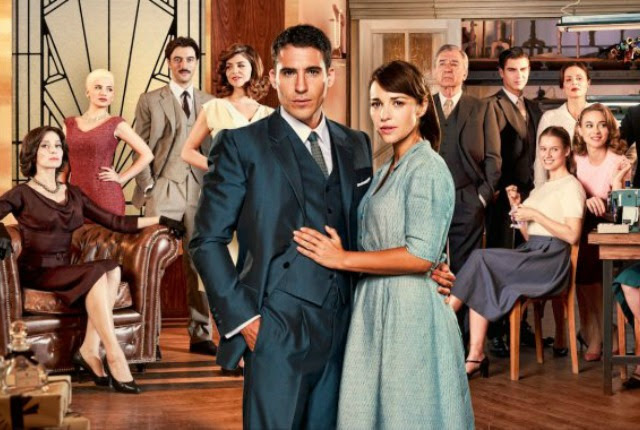 Besides fashion, love Spanish style plays a big part in this show. With its cast of beautiful characters, we get to fall in and out of love, experience the high drama of their escapades, and admire the intensity and loyalty of their friendships. Having lived in Madrid in the 70's and having dated 3 men all coincidently named Carlos, makes this show even more enjoyable for me. I am reliving my Madrid moment while revitalizing my Spanish language skills (The show is in Castilian Spanish with English subtitles) -- so much fun! The women I most admired had beautiful posture -- dance posture, and dressed in navy blue straight skirts with silk blouses and wore high heeled pumps. Their hair was often secured in a bun and their white pearls glistened against their creamy skin and dark hair. In VELVET, the actresses that play Clara, Isabel Navarro and Gloria all have Spanish dance training and it shows. With great posture, all the clothes that they wear look even more exceptional. Currently, in the fall collections, Valentino's designs make me think of the ladies in VELVET and of all that I loved about the stylish Spanish woman. I am reminded of the first fashion advice I received at the age of 20 (albeit given to me by my flamenco dance instructor!) -- To find your style, you have to find yourself. With that confidence you begin to carry yourself differently and then with that posture, elegance walks into the room. 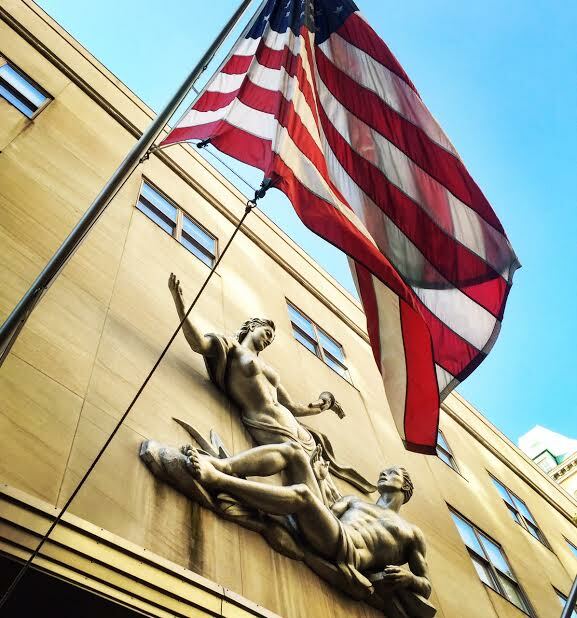 Independence Day gives us a moment to pause and appreciate what our freedoms are both universally and personally. It's a time to see all that we have, rather than all that we don't. In the summers as a young girl, my mother would ask me what I wanted to do as a special treat. My answer was always the same; go to the international terminal arrivals at the Los Angeles International Airport to people watch and then have lunch in the sky at the airport restaurant. (Besides the great view, they shaped butter into rosettes and served it on ice!) We studied the arrivals board and proceeded to the chosen gate to watch the passengers arrive. At that time, we were free to go all the way to the gate to get a close-up view... When you are small, the world seems so big but this trip to the airport brought it all much closer to me. This big world seemed friendly and beautiful and above all, full of possibilities. Freedom is an exercise in courage and I felt that all these people from all these different countries were brave to travel so far and arrive someplace new. I marvelled at the freedom to move about the world like this-- It made me dream. While travel in today's world is more complicated-- that freedom has only become more precious. I will continue to exercise it! In the words of Coco Chanel: " The most courageous act is still to think for yourself. Aloud!" Happy 4th of July-- Let freedom ring! 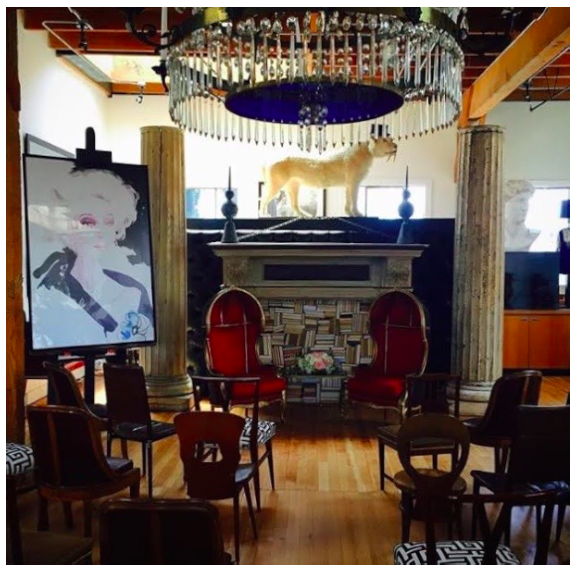 CHEZ LE COIFFEUR: David Mallett, The Salon, and The Jewelry I Wore! Jewelry, shoes and hair are my favorite accessories. Yes, I consider hair an accessory! Big hair, sleek hair, red hair, blonde hair-- I've had it all and changed things up frequently. What I didn't change was my hairdresser. But life has a way of nudging us along even when we aren't ready to move and in January of this year, Mikel left to create heavenly hair up with the hair gods.... To say I've been lost without him is an understatement. My short hair grew long and then positioned itself in its perpetual French roll. Fortunately, I had a trip to Paris planned and decided that it might be the perfect moment to experiment with my hair. As luck would have it, I sat next to a beautiful Australian ballerina one day in a café who had the best haircut. After talking about Paris and dance, I asked her who did her hair--she leaned in and whispered, David Mallett, and tell him Gemma sent you. The appointment was made and the day finally came to embrace change. David brought me my requested green tea and sat with me-- easing me into revealing my hair dreams. He admitted with a sideways smile that he had already been studying me while I was waiting in the foyer and had some ideas of his own. He analyzed me out loud and I was stunned that someone could be so clear about who I am and what I was thinking without knowing me at all. He commented on my jewelry-- I was wearing my Lucky pearl ring and bangle-- he was obsessed with the ring and said that it was his sign to let his creativity loose! Well, the next several hours spent cutting, coloring and styling my hair were joyful, exciting and downright fun. Everyone was friendly and I had some of the most wonderful conversations with people from all over the world and all walks of life. David, himself, is smart, humble, and talented. At the end of the afternoon, I left with the perfect cut and color. When I stepped out in the street, I looked up to the sky and smiled knowing that hair gods approved! David Mallett was recently interviewed in New York Magazine's, The Cut. Here is the article! Enjoy! On a very rainy day in Paris recenty, I decided to tuck myself into one of the plush velvet seats at the cinema on the Boulevard Saint-Germain. The harder it rained, the faster I walked to get there thus arriving too early to be seated. 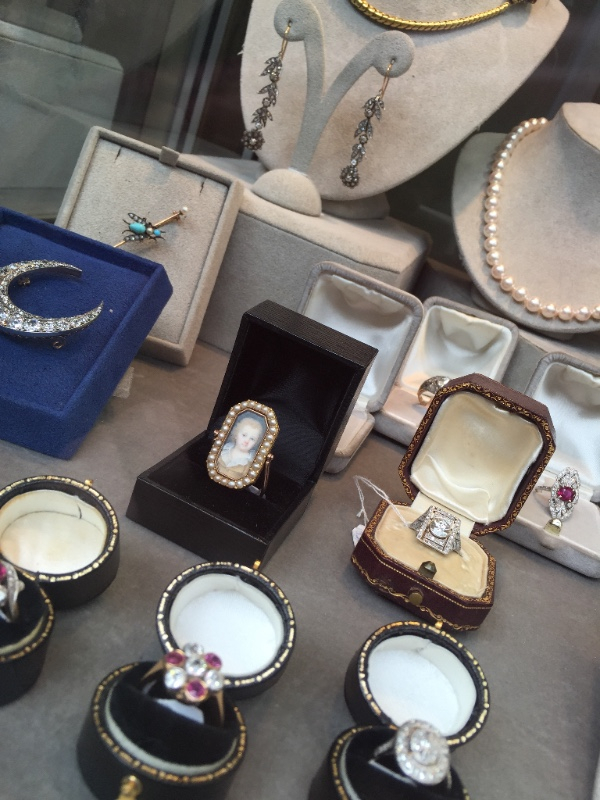 With fifteen minutes to spare, I walked the cobblestone streets near the rue Saint André des Arts and stumbled upon a jewelry store window filled with treasures. With both my umbrella and my nose pressing against the window, I was astonished to see a portait ring that bore an incredible resemblance to my husband. The shop owner poked his head out the door and smiled at me. I told him I only had a few minutes but that I would love to see this ring a bit closer. I knew I had to come back after the film to "study" this portrait a bit more! I walked to the cinema to see the film and while I should have been completely distracted by the handsome actor Jean Dujardin, I couldn't stop thinking about the ring and its uncanny resemblance to my husband.. As you might imagine, this ring became mine after a lovely visit with the jeweler and the promise to return to show him a photograph of my Frenchman. I love designing costume jewelry but am intrigued by antique fine jewelry and the history that belongs to it. 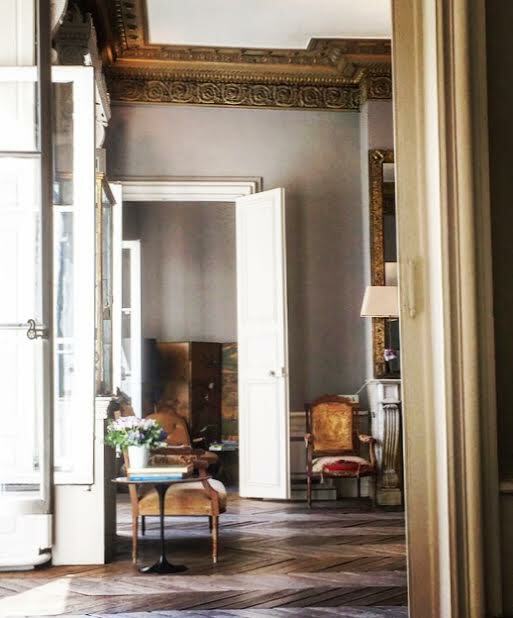 In fact, what compelled me to start my jewelry brand over 20 years ago was the desire to share the antique treasures that I found in the Paris flea markets and translate them in a modern way for my clients. Many of my current pieces reference jewelry from the 60's and 70's and some of my first Couture jewelry was made from 18th century French trims and buckles. 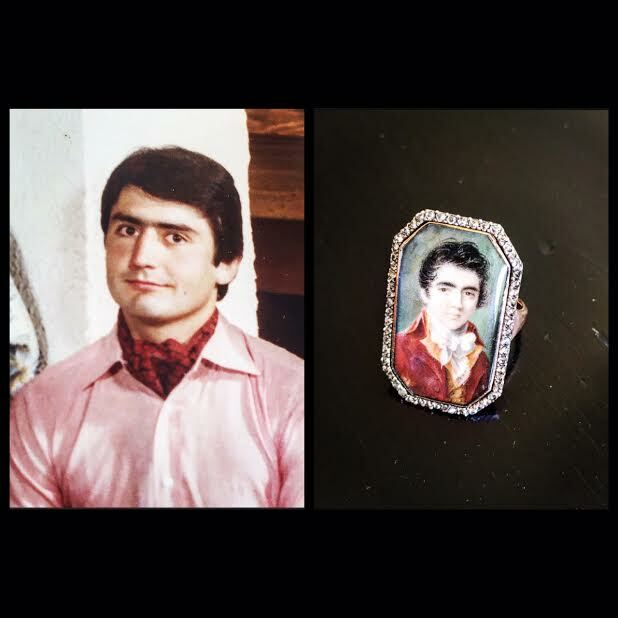 Portrait jewelry was popular in the 17th and 18th centuries so it makes sense that I am drawn to it. Before photography, portraits were hand-painted on ivory, porcelain, paper, or mother of pearl. They were given as a love token and in some cases as a way of introduction by a young man to a young lady. Some portraits were painted on ornate boxes or given in small jeweled frames. When they were given as jewelry, a more intimate message was implied. 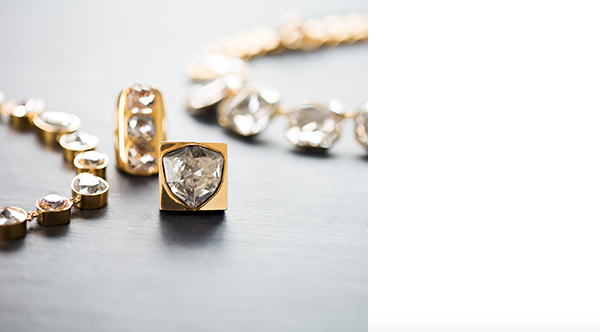 Many times, a portrait ring was offered as an engagement ring and was framed in small jewels. Wouldn't that be a great idea still today as a wedding gift or an anniversary gift? 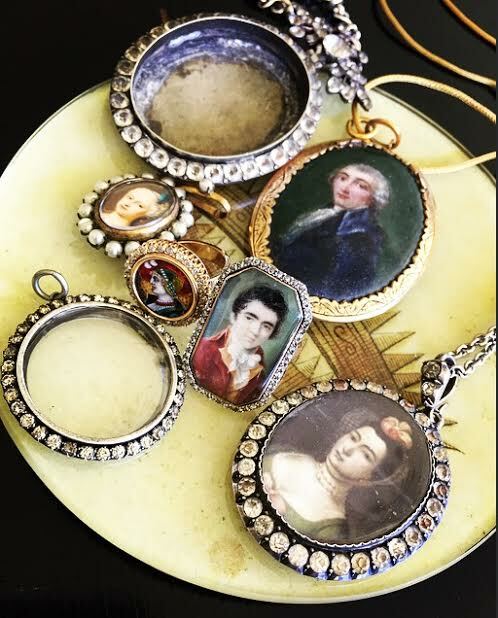 Antique portrait jewelry is a kind of poetry for a romantic heart. Who says you shouldn't wear your heart where everyone can see it? 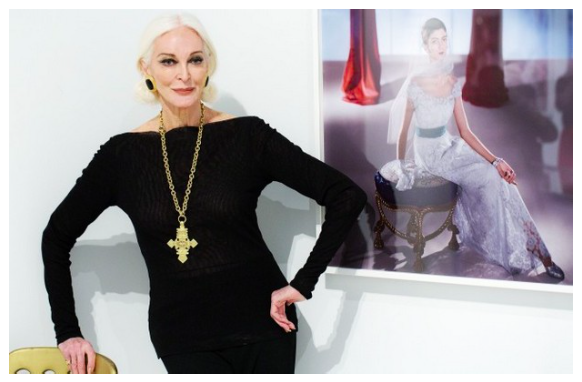 She is known as the oldest working model- so aging and how to do it gracefully is something she knows about. Of course none of us are getting older, but let's talk about it anyway! 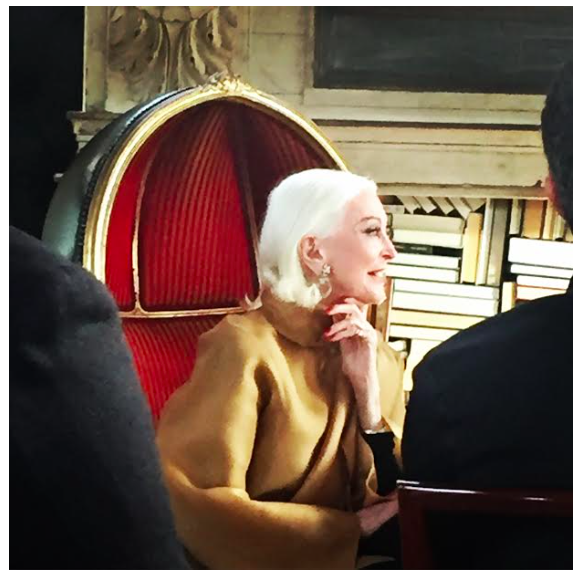 Last night's intimate setting for the interview with the iconic model Carmen Dell'Orefice, was perfect for her soft-spoken story-telling. Ken Fulk ( http://kenfulk.com) , the event's host, is a master at creating ambience and Carmen's presence can easily fill a room. I went in search of inspiration and as you might imagine, did not leave empty-handed! What is age when you sit in front of someone who exudes grace, humility and vibrancy like she does? Wearing all black with a carmel-colored silk jacket, 4 inch Manolo heels and the perfect statement jewelry, she was ageless. She used a matching wood-handled umbrella as a support ( she just had double knee replacement surgery) which I thought was such a great idea and so chic! Did I mention she is 85? 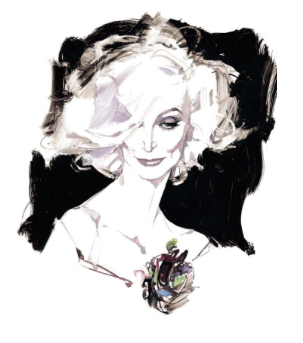 Carmen's modeling career at Vogue began at age 15 and at 85, she has more magazine covers over the past 15 years than ever before. I'm sure there is much to do to maintain her striking looks but when she shares her secrets, she makes it seem effortless. There is a simplicity to her-- a kind of youthful naivety that makes it all seem quite possible for anyone to attain. As she says, "Nothing on the outside is going to make a blind bit of difference unless you take care of the inside." Start the day with water and lemon juice. Buy lots of ice-cream. It stays frozen and ready for when you might need it. It is a kind of savings account at the ready! And my favorite-- If you must be addicted to something, be addicted to love! I'm sure she would agree with Ben Franklin who once said, "Those who love deeply never grow old; they may die of old age, but they die young." My thought is that we need to focus less on looking young, and more on staying young--young at heart, young in spirit, alive with inspiration and full of enthusiasm that we generously spread around. Let the quiet indulgence of happiness be your best beauty secret! I like to say that a day in Paris holds many lifetimes. That's how it feels to me anyway-- so much can happen in a day! My street wakes up early around 7:30AM with restaurant deliveries at Le Cherche Midi and Atelier Vivanda (two great bistros to note). A bit later, apartment windows open, horns begin honking, and dogs begin their morning strolls off-leash -- yes, they know what they are doing and where they are going just perfectly! Beautifully dressed Parisians whizz by on their bikes (Vélib is the great bike-sharing system here) on their way to work avoiding all the traffic snarls. Cigarettes begin to light up (one of my least favorite things...), the sun begins to touch the tops of the buildings, and I finish my coffee and leave my kitchen window perch to start my day. 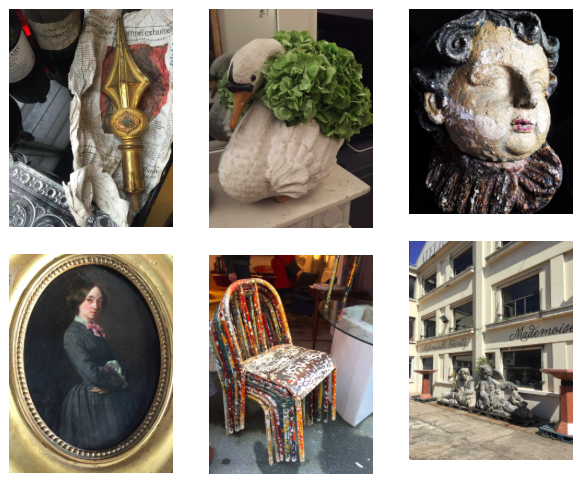 My spring sejour is coming to a close but before it does, I want to share my idea of the perfect Left Bank shopping day in the neighboorhood! Ready? 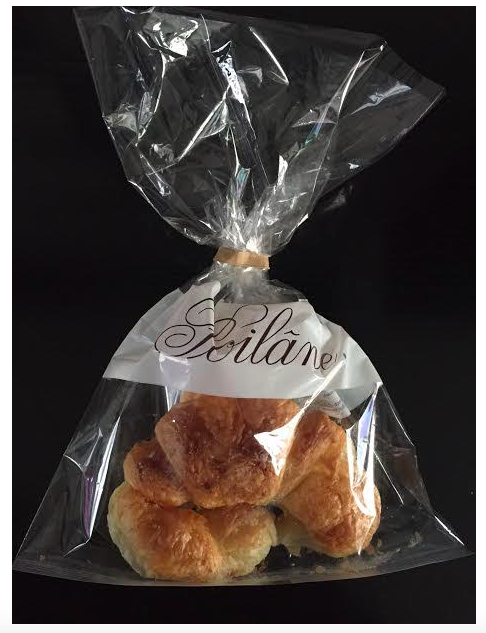 I walk down the street to Poilâne -- one of the most famous Parisian bakeries, to buy my croissant and return home to have it with my coffee and watch the City wake up. If you are up early, I recommend having a café au lait and Poilâne toast at the charming Cuisine de Bar next door to the bakery-- they open at 8:30AM. Take your time, no need to rush as most of the boutiques in the area don't open until 10:30-11:00. I like to take a brisk morning walk up to the Seine River and back to breathe the fresh air and gear up for the day. The view across the River is always breathtaking! 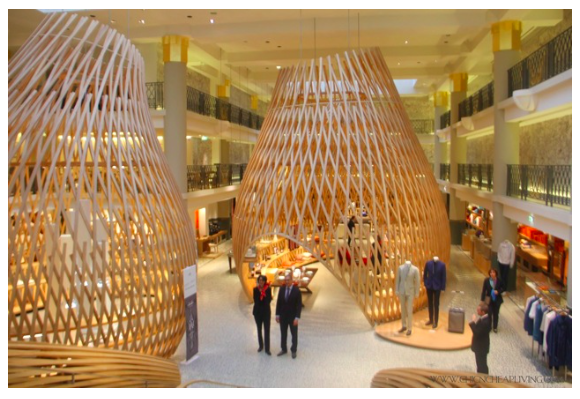 Shopping in this 6th arrondissement is heavenly! Just at the corner of the rue du Cherche-Midi is the intersection called the Croix Rouge. You'll know it by the huge Centaur sculpture in the middle of it ( Centaure de Cesar). From this intersection, any of the little streets you decide to go down will take you to some of the best boutique shopping on the Left Bank. 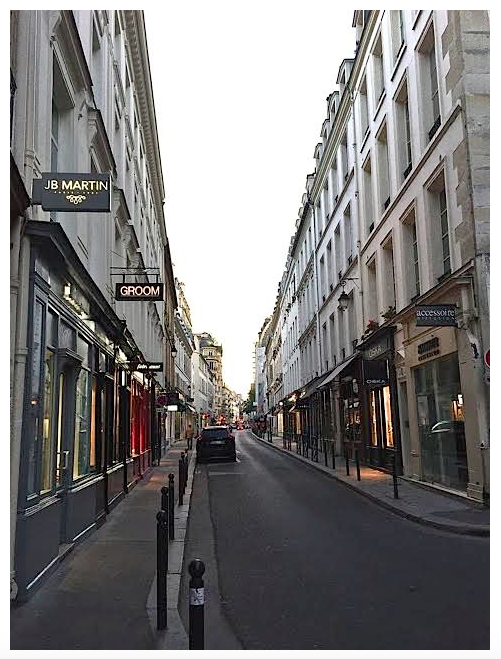 There are the obvious favorites like Céline, Christian Louboutin, Maison Margiela, Inès de la Fressange and Prada and that's just on the rue du Grenelle alone! 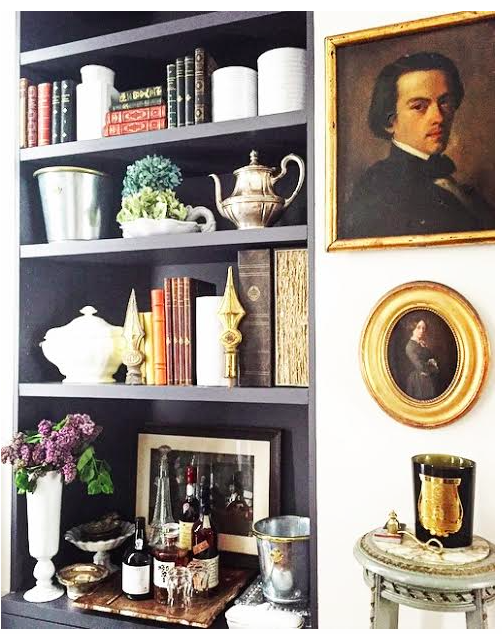 For their beautiful white porcelain dishes, paper goods and perfume, Astier de Villatte just opened on the Left Bank. I always bring home table candles in the many luscious colors offered by Cire Trudon, and for the perfect gift, I go to Buly 1803 for their many potions, creams, soaps and fragrant matches. Love the fragrant matches! For beautiful silk and cotton caftans, Liwan has long been a favorite. She also carries beaded coin purses and unusual costume earrings. 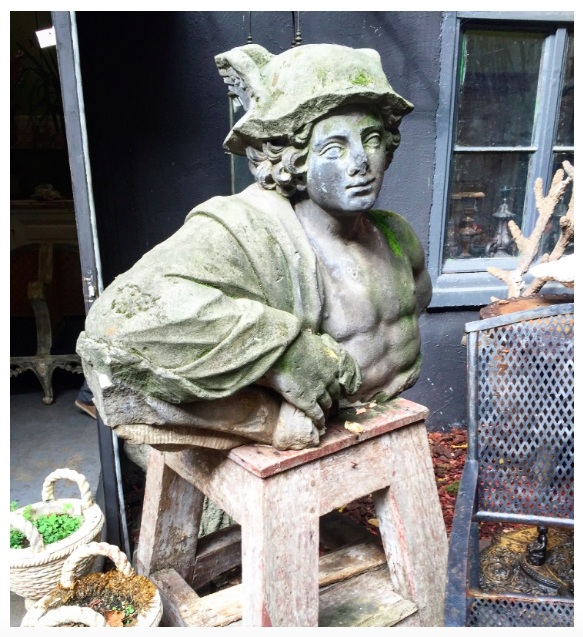 For antiques and home treasures, try Yveline Antiques and Galerie Salon. 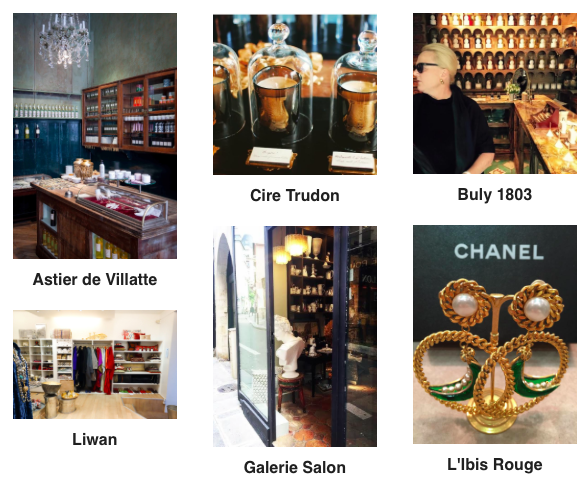 For cult beauty products, I go to CityPharma on the rue du Four. It's always crowded, but the pharmacy staff is so knowledgable and quite organized in their own French kind of way. I just stocked up on my two favorites: La Roche Posay Cicaplast Baume B5 and Redermic R Corrective. And then there is jewelry....!!!! For vintage costume jewelry, I go to L'ibis Rouge-- Vivianne's knowledge of the history of costume jewelry is remarkable and her shop is full of treasures. 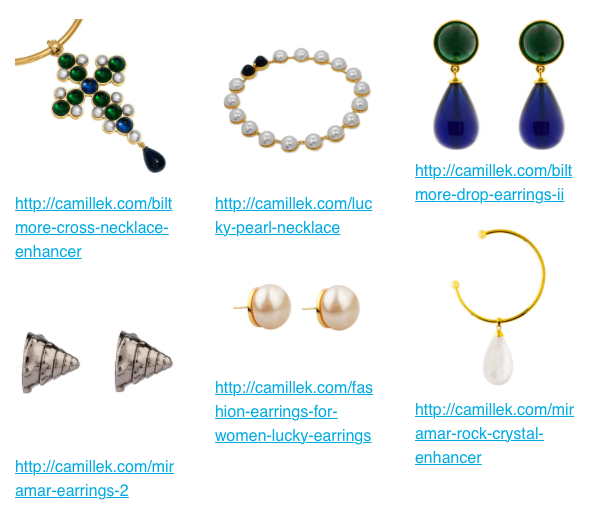 If you are looking for a particular piece or designer, be sure to ask. She has a basement archive that has been stocked and added to for 35 years! 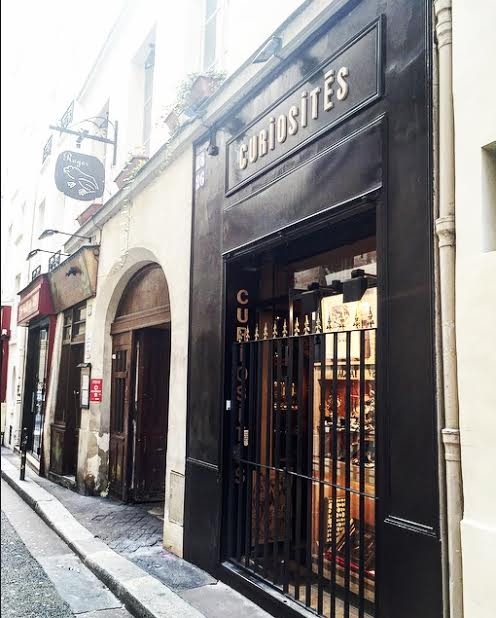 For antique fine jewelry, my absolute favorite is Curiosités on the rue des Grands Augustines. Monsieur Brisbois has a remarkable collection of bijoux and the prices are reasonable. He is only open in the afternoons so plan for a later visit in the day. Ready for lunch? Try Brasserie Lipp-- an institution in Paris for 135 years! Another classic is Josephine Chez Dumont. Restaurant Christine is pure charm and great food. It's on a very small and quiet street if that is your mood! It's best to make a reservation for any of these restaurants. There are so many cafés and bistros in Paris. If you want to be spontaneous, dine early (before 12:30) or later(after 2:00PM) and you shouldn't have trouble being seated. Bon Appétit! At the end of the day, go to Jade d'Orient for the best accupressure foot massage you can imagine. You'll deserve it after all that hard work called shopping! 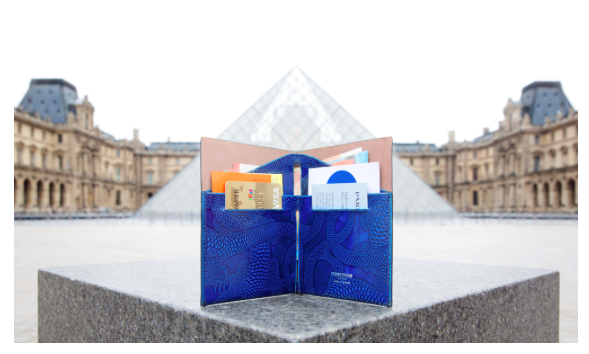 Paris is a place where we can leave behind who we think we are and reinvent ourselves. It's a City of art, beauty, fashion, and love. As John Berger put it, "Paris, I believe, is a man in his twenties in love with an older woman." I'll sign off by chiming in with Gertrude Stein to say that "America is my country and Paris is my hometown." À bientôt! Theodore Roosevelt said, "Keep your eyes on the stars and your feet on the ground." While in Paris you will literally keep your feet on the ground with all the walking you'll do but you must let your eyes go there too! 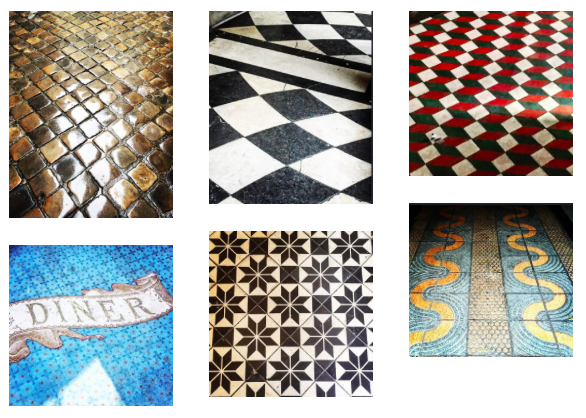 There are so many gorgeous tiled floors that you would never want to miss! 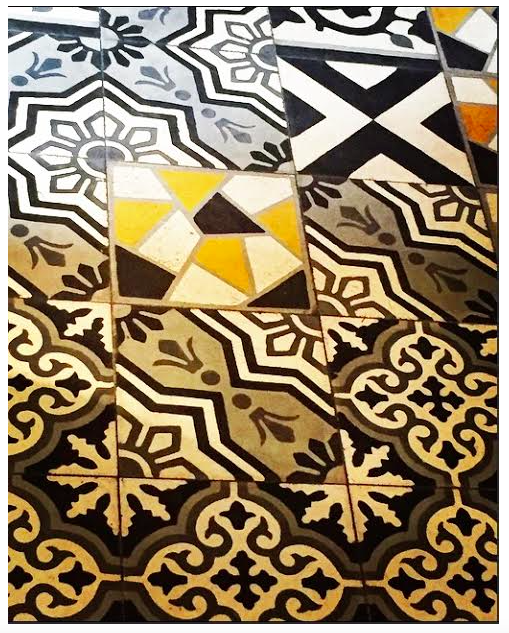 While I don't know the history of all the tile work, I know that people come from all over the world to see it and photograph it. 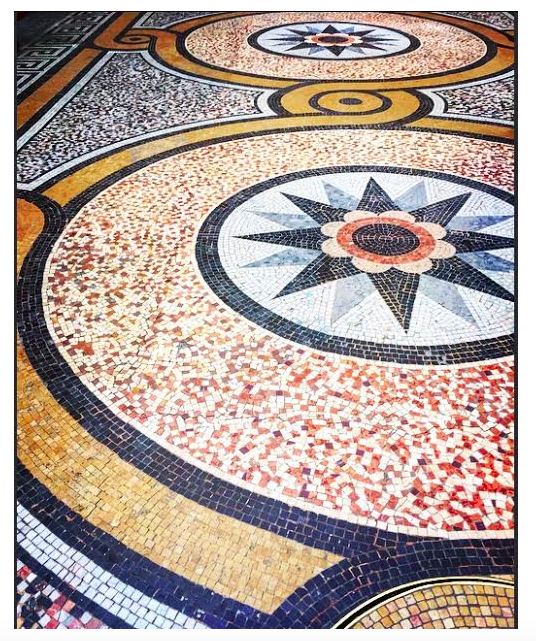 One of my favorite Instagram posts is @parisianfloors -- Sebastian Erras captures the City beautifully one floor at a time! 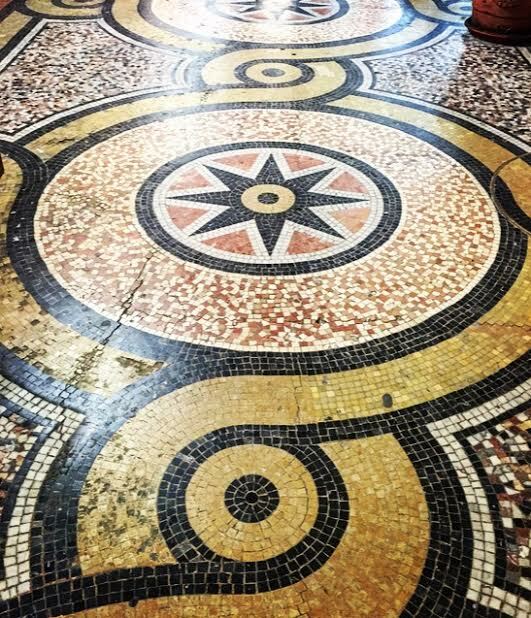 Paris' covered passages are home to some of the most beautiful floors -- check my favorites in my list below! Paris will have you looking every which way -- my head is always spinning while I'm here! Enjoy! While there, explore the wine shop Les Caves Legrand (considered one of the best wine shops in Paris) and have lunch at the Bistro Vivienne. Lots of shops and restaurants here. My favorite is the vintage eyeglass store called, Pour Vos Beaux Yeux. It's spellbinding, it's magical, it's history and it's where you can find me every weekend while I'm in Paris! I first set foot in the Marché aux Puces de Saint-Ouen around 1995 as part of a group of people through my husband's work. We had three hours to see it all ... impossible for sure but a great teaser! Yes, it can be overwhelming at 7 hectares (over 17 acres) and over 1,500 vendors but that must never stop you from exploring it! Years later, I was in Paris with my friend David. During a lovely dinner at Taillevent, I met a filmmaker friend of his and his companion Christopher. Christopher was at that time an assistant to fashion photographer Mario Testino. He talked about his weekend trips to the Puces to find vintage lucite furniture and photograph it for Mario. I was more than interested in his knowledge of the markets and he was kind enough to extend an invitation to us to go with him the following weekend. That was when I really started to learn about the Puces-- from the inside, and when I knew I would be returning again and again in my life. Christopher led us in and out of the Serpette, Vernaison and Malassis markets stopping to snap a photo here and there. For a pause and reset, we had lunch in the garden of a family-owned restaurant (that sadly no longer exists)-- where I digested both my food and all that I had just experienced. I can still see Christopher's graceful hands holding his vintage silver cigarette case and can remember the way it sounded as it clicked open and closed. I will always be grateful to him for sharing his version of the Puces. On subsequent trips, I would buy my first 17th century portrait and have it shipped home and I would meet some of the most talented textile vendors who would sell me the passementerie that I would later rework into my one-of-a-kind statement jewelry. 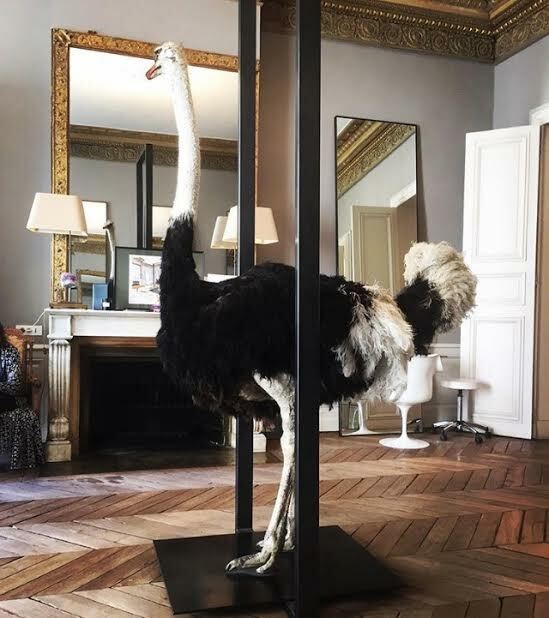 Currently, I'm furnishing our Paris apartment with all kinds of treasures and am always so impressed with the knowledge and integrity of the people I deal with. Both the Saint-Ouen and the Vanves markets have become a big part of my life while in Paris. I am driven by what I'm about to discover and what I have never seen before-- It is a passion! 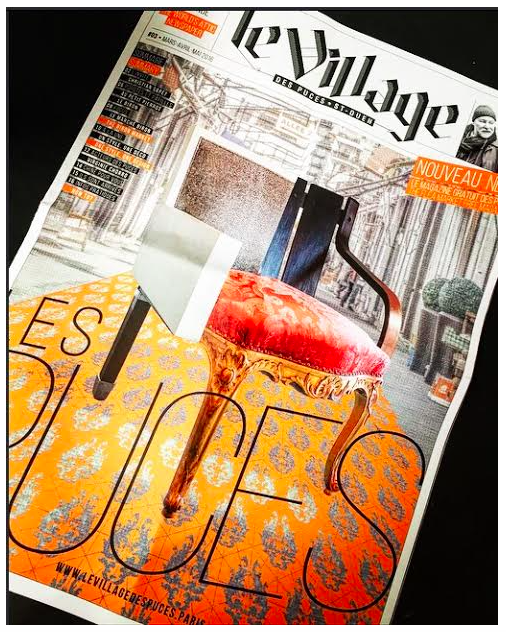 The people who really know the Puces des Saint-Ouen refer to it as a village. The more I go, the more I understand why-- there is a small-world feel, a kind of intimacy amongst the vendors and all the beauty that they find and inspire us with. Informal market and much smaller than Saint-Ouen. This can be walked in a couple of hours. Enjoy a pain au chocolate and a coffee at the food stand in the center of the market.